With today being the first day of a full week of school for the kids we will be working on our family routine. I have my alarm set for 6am so I can be out of bed by 6:15am. The boys have to be up by 6:30am and we drive them to their bus stop at 7:15am. One of the things the kids really struggle with is getting their stuff ready the night before. No matter how much I hint, remind, plead, nag, at least one of the three is scrambling for something which means mom is racing around trying to get them out the door to the bus on time. The biggest problem is that I end up angry at the kids and I hate having them leave the house feeling bad. We are going to have a family meeting about this tonight at dinner and hopefully come up with some solutions. 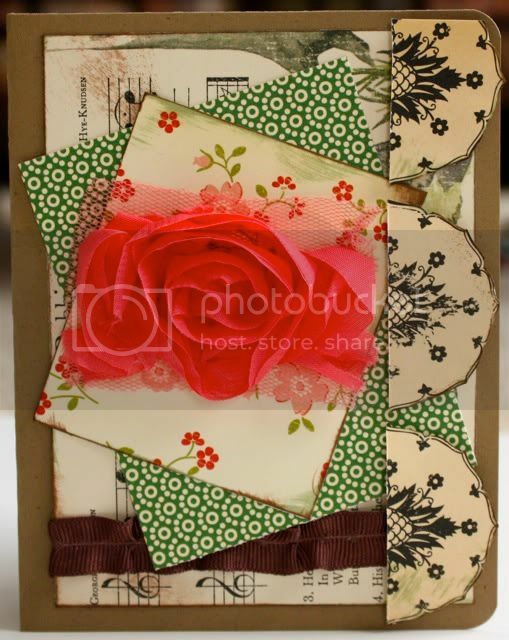 This weekend I had a great time working on some projects for challenges over at Scrapshotz. Here are a couple of cards I did. 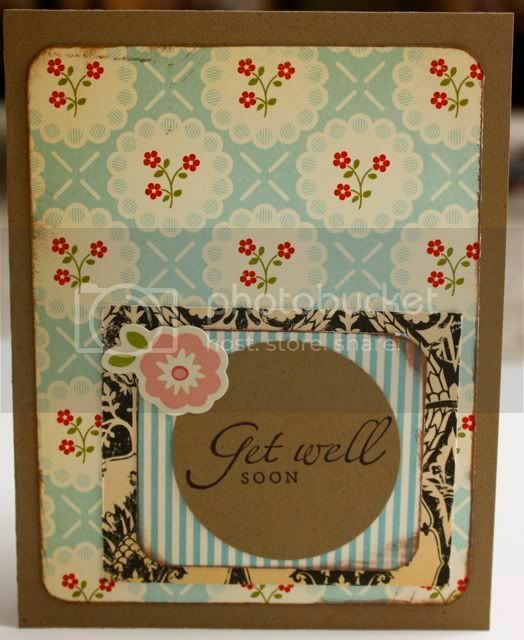 The challenge was to create a "Get Well" card and a notecard. I've used papers from October Afternoon the ribbon is Dear Lizzy from American Crafts. This layout is for a challenge to use flowers on a masculine page. I must admit it is out of my comfort zone to use flowers on boy pages so I went with a mimimal amount. I kind of like how it turned out. The papers are Echo Park-Life is Good. 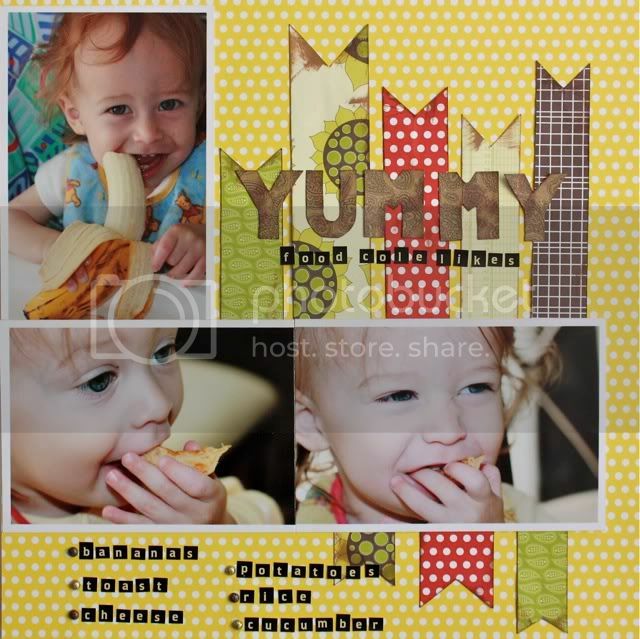 This last layout is for a challenge to use a list on a layout. These were fun photos to work with. The papers are Jillibean Soup. I have one more layout I am just finishing up today I will try to post this week.